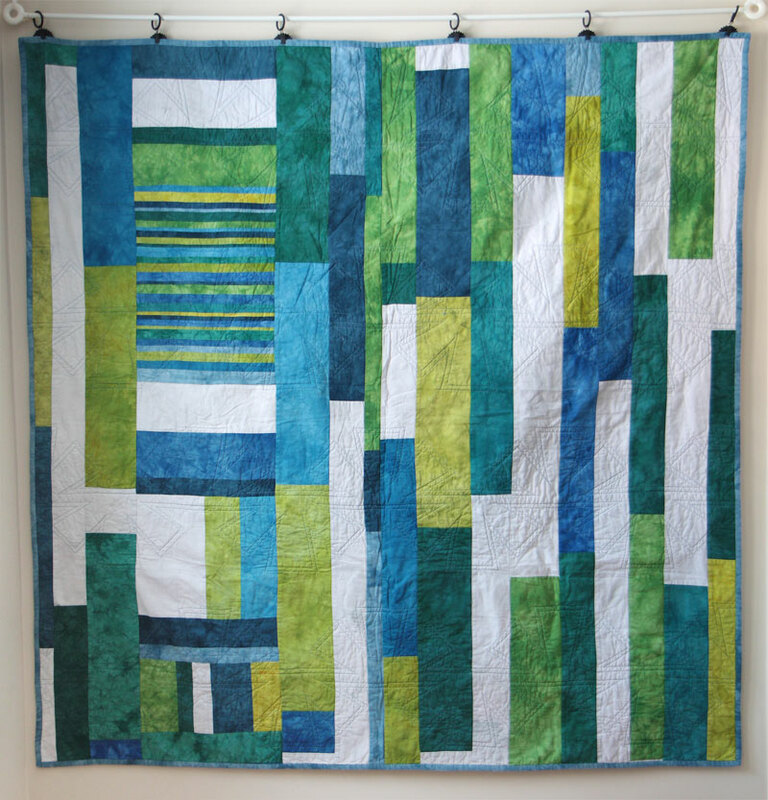 With this quilt I wanted to something fun with hand-dyed, strip-pieced stripes. I came up with this design that used the striped fabric as if it were just one piece of fabric. 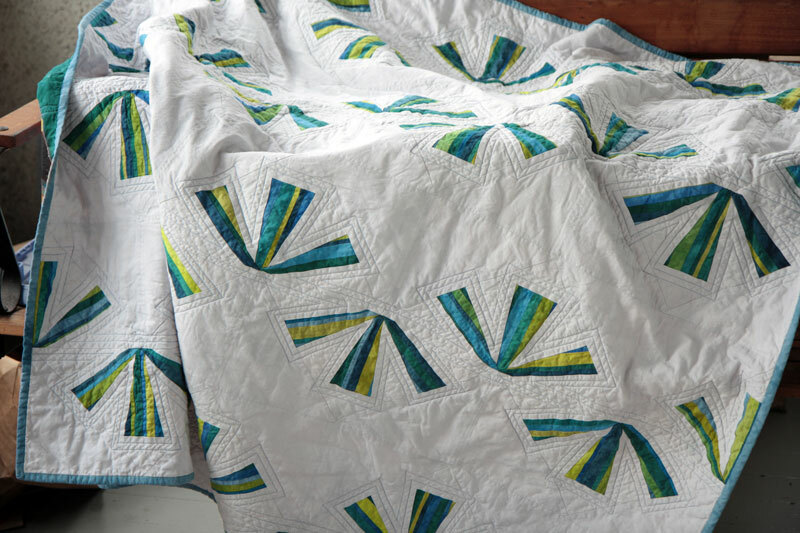 This quilt is made entirely with my own hand-dyed fabric. 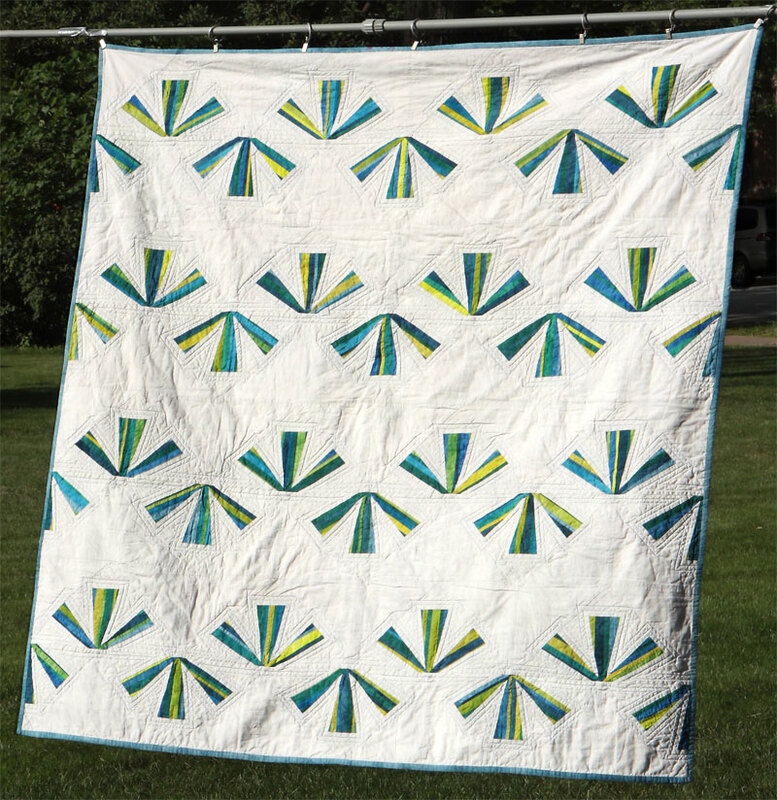 I really love this pattern and want to make it again someday in brighter colors! For the backing, I used up the scraps of fabric that I had dyed for the front, including the leftover chunk of striped fabric.